Some hard-hit baseballs aren’t content just to do their damage on the scoreboard. 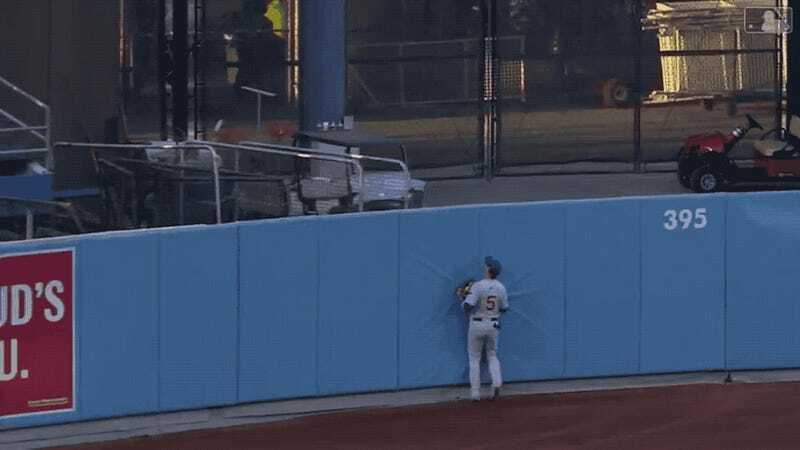 Some, like Max Muncy’s home run ball from Wednesday’s Cubs-Dodgers game, seem to get their kicks from inflicting as much humiliation on fielders as possible. These sociopathic balls are on a path of destruction, and nothing, not even the outfield fence, can stop them from, for example, coming back into to play just to conk Cubs outfielder Albert Almora Jr. in the noggin. Put that ball in jail until it learns its lesson.